The German Migration Office (BAMF) found in 2018 that 48 percent of Turkish asylum seekers had been to university before coming to Germany. According to the daily newspaper, Die Welt, surveys conducted by BAMF in the first half of last year showed that by contrast, the overall proportion of asylum seekers in Germany who had achieved tertiary qualifications was just 17 percent. Die Welt notes that the figures from the BAMF are based on self-reporting: In other words, the Turkish respondents may have overstated their qualifications "because they hope – erroneously – that it will improve their chances in the asylum process," according to BAMF. The BAMF figures also show that in 2018, three percent of applicants from Turkey were illiterate, compared with 11 percent of asylum seekers in Germany overall. In 2018, according to BAMF, 10,655 Turkish nationals claimed asylum in Germany, over 2,000 more than in the previous year. A spokesperson from the Interior Ministry told Die Welt that the number had increased as a result of the political problems in Turkey. After a coup attempt in 2016 failed, 100,000 civil servants were sacked. 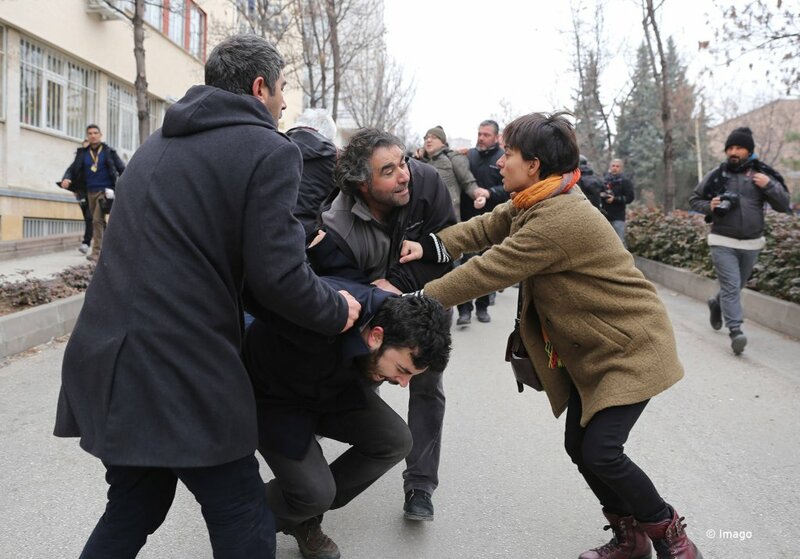 In the southeast of the country, Ankara also stepped up pressure on the Kurdish minority. BAMF figures show that in 2016, 4,383 Kurds from Turkey and 1,197 Turkish migrants applied for asylum in Germany. In 2018, by the end of November, 4,067 Kurds and 5,776 Turkish migrants had claimed asylum. The protection rates have increased significantly. In 2016, the protection rate for Kurds and Turkish nationals was 7 percent. By the end of 2018, it had increased to around 71 percent for Turkish nationals and 12 percent for Kurds. Jochen Oltmer, a migration expert at the University of Osnabrück, says there is a "brain drain" happening in Turkey. "On the one hand, we are seeing the departure of politically persecuted people. At the same time, large numbers of young people are leaving the country in order to study abroad, for example," Oltmer told Die Welt. Wiebke Bachmann from the German Academic Exchange Service, DAAD, said the change following the coup attempt was also noticeable in her organization. She told Die Welt: "As of 2017, we had a lot more inquiries from young Turkish people who were interested in studying in Germany."